The ribbed slab (or Zoellner slab) is something between a slab and sum of beams. Generally, during a seismic event ribbed slabs, like rigid ones, are not stressed along the vertical direction therefore, their reinforcement is practically independent of the earthquake forces. The rib reinforcement follows the same rules as the beam reinforcement. 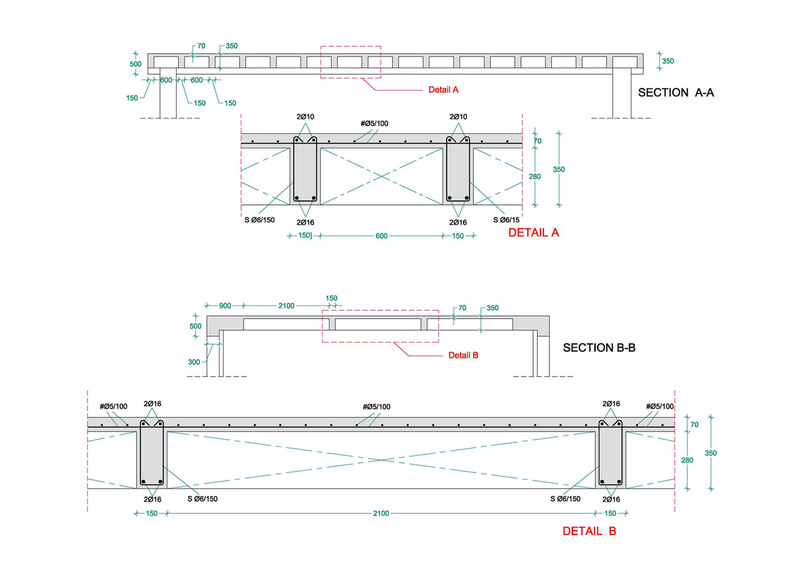 However, mainly as far as the stirrups are concerned, the amount of placed rebars is not as large as it is in beams. 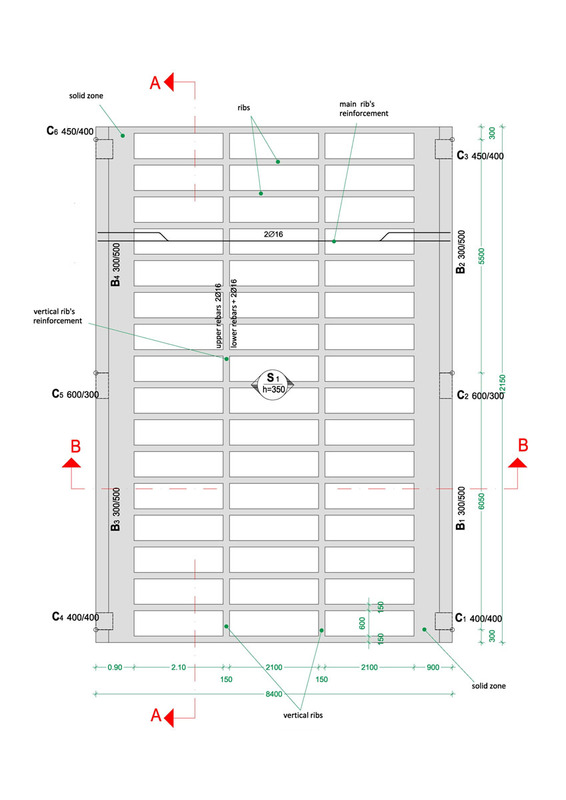 Between the ribs, the slab is usually reinforced with a common wire fabric reinforcement [*] NoteSince slabs are not considered to carry earthquake loads, industrial wire fabric reinforcement B500A (according to table 2) can be used in order to provide both the slab reinforcement and the ribs’ stirrups. In this specific example, a Τ196 (Ø 5/100) wire mesh could be used for the slab reinforcement and a Τ188 (Ø 6/150) wire mesh could be used for the formation of the ribs’ stirrups. . When the ribbed slab is connected to other slabs (as it commonly is), the support areas are re-quired to withstand severe moments and shear forces, therefore the ribs’ width is preferred be greater than e.g. 200 mm.